During the Fall we love to visit the Farm! Next week we are going to our local pumpkin patch for a trip to see the farm animals and go on a hay ride. It is FARM WEEK for our Weekly Virtual Book Club for Kids and we are reading Click Clack Moo: Cows That Type by Doreen Cronin along with several other fun Farm themed books! 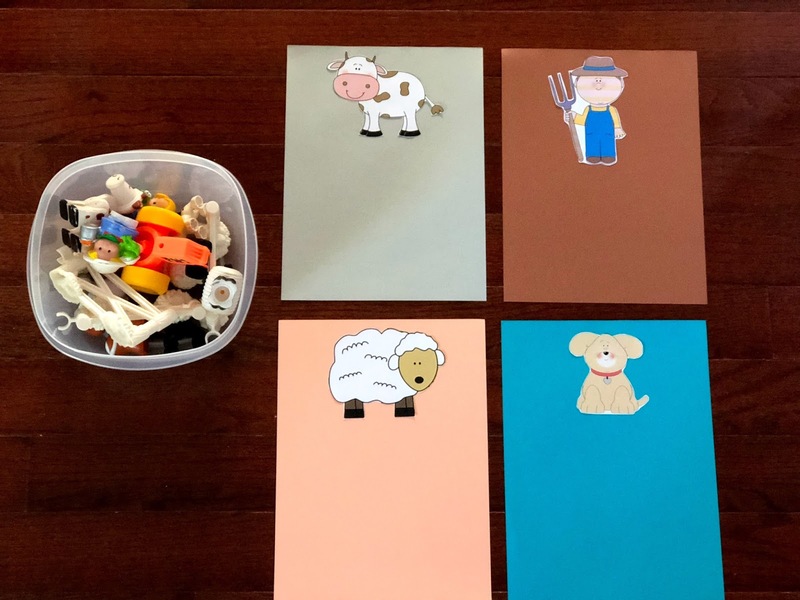 We've included additional favorite farm activities and books in our Newsletter and October Play Plan, so definitely go check them out! 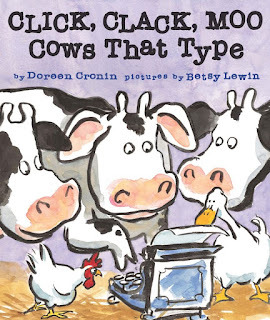 Click Clack Moo: Cows That Type by Doreen Cronin is an adorable story about some cows that find a typewriter. They start typing demands and sharing them with the farmer. It is pretty funny! 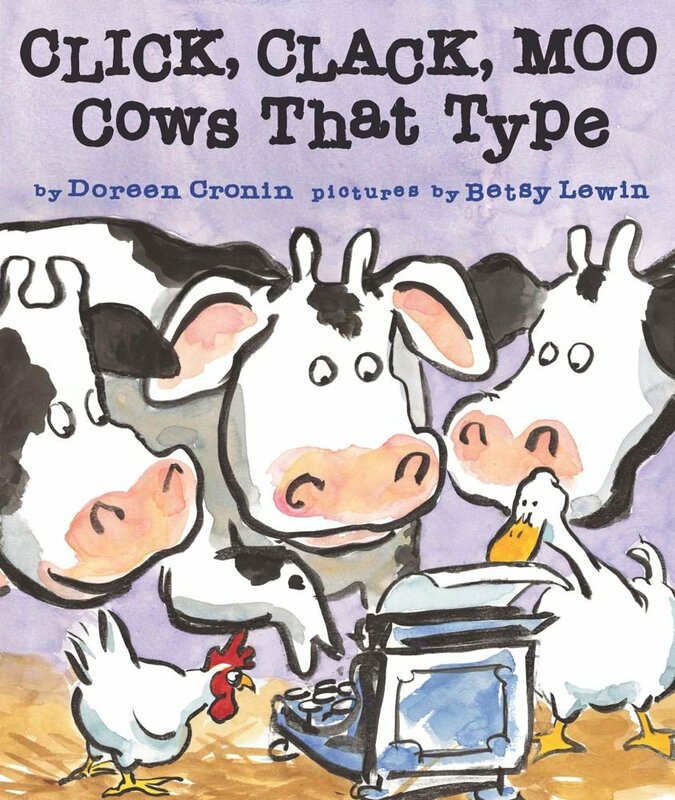 In additional to reading Click Clack Moo: Cows That Type this week, we are also doing some farm themed activities. 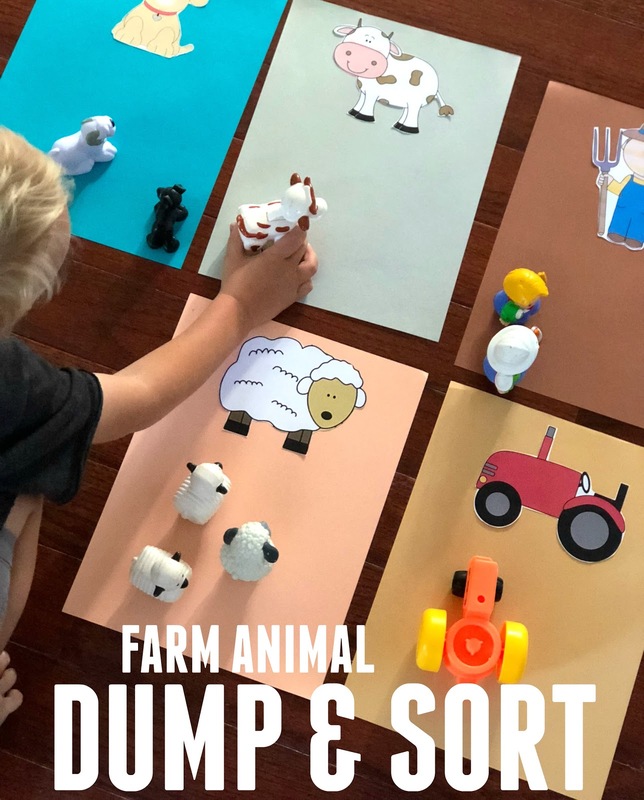 The first one we are doing is an easy farm animal dump and sort activity for toddlers and preschoolers. To do this dump & sort activity, you only need a few materials. 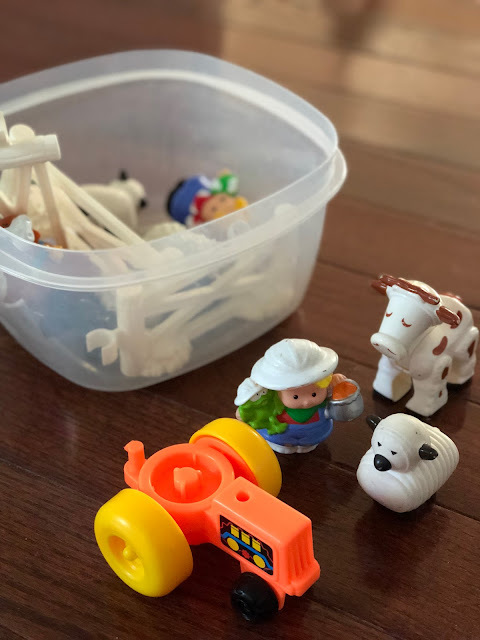 To get started, we hunted around the house for all of our animals. We used Little People farm animals and LEGO DUPLO farm animals. Next, we put them all in our big bowl. 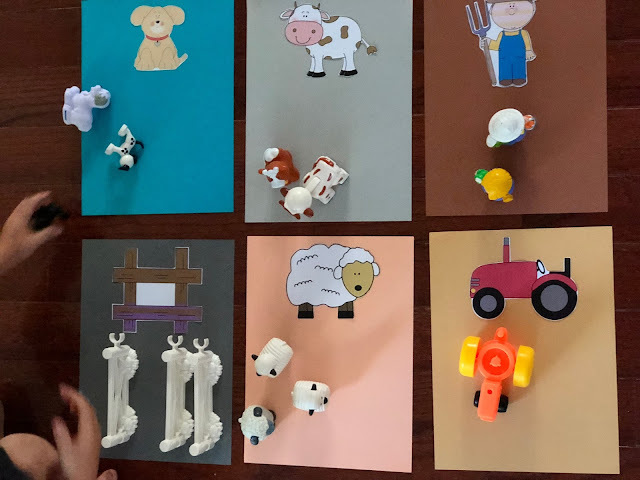 Then we printed our pictures of the different farm animal toys that we found. We cut them out and secured them in place onto pieces of construction paper. Finally, we taped the construction paper sorting sheets to the floor (so they didn't move around too much). To start playing, we dumped all of the animals (and fences) out onto the floor. Dumping is always a favorite activity over here, so the kids loved this part. Once the animals were dumped, the kids started sorting. Cows went on the cow paper, tractors went on the tractor paper. 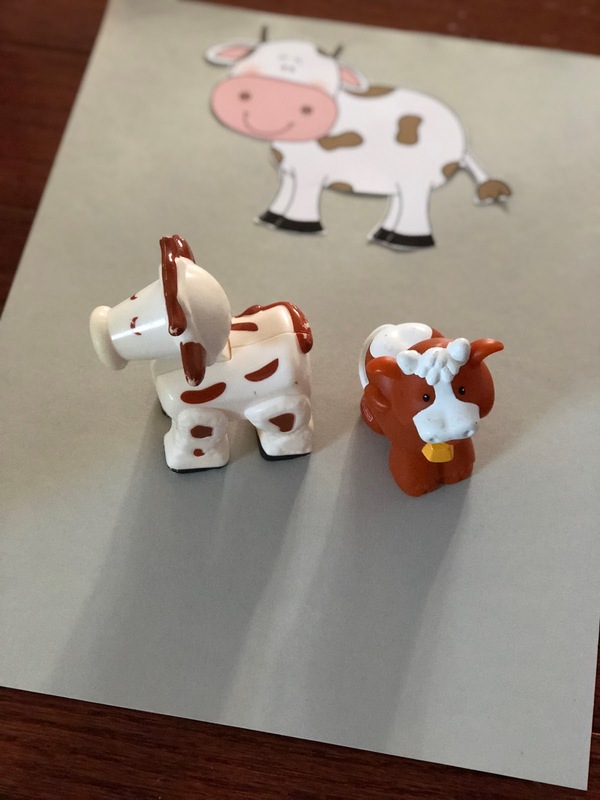 For older preschoolers you can even add the names of the animals and objects onto the papers for some word recognition. My preschooler and I talked about what letter each object started with while we sorted and played. We also embedded a little counting into this activity while we sorted. 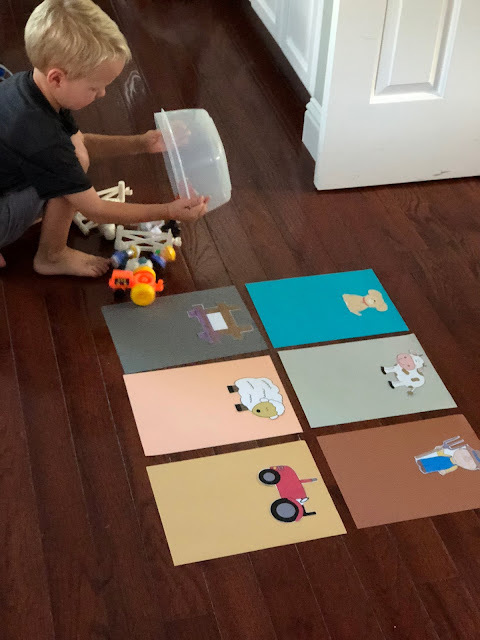 Sometimes the easiest activities end up being the best because you can expand upon them as well as keep them simple and just focus on basic skills that need to be repeated and mastered. 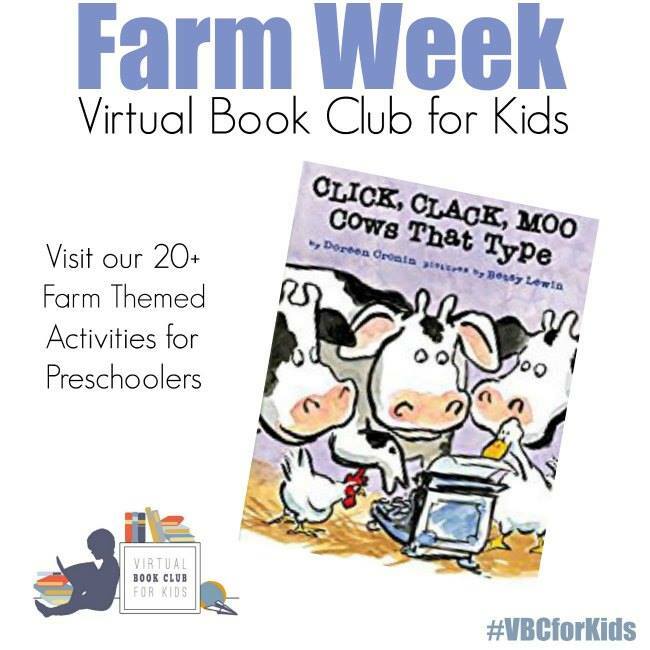 We can't wait to go to the farm later this week and have fun doing a few more Farm themed activities shared by our co-hosts. NEED SOME MORE FARM THEMED ACTIVITIES?